When potential clients meet with us, they are in a scared state of “I Don’t” and coupled with a large dose of “what do I do now?” This is not unusual. As attorneys, we are not just advocates. The majority, in my opinion, of our representation, is spent advising, counseling, consoling, and explaining complicated matters. Some things are simple, but there is some complicated matter in there too. I like to think of what we do as “Re-Organization”…of one’s life, of one’s family and of one’s finances. Florida is a no-fault divorce state and that means that, although it takes two people to say “I Do,” it takes only one to say, “I Don’t”. When that happens, there is little a husband or wife can do if the other is serious about ending their relationship. What is left however, is the way in which the husband and wife are going to divide up their property, share the time with their children, and determine how to move forward when their finances are now separated. Invariably, things will be different. This is not the time to do it on your own. Advocacy – You want someone in your corner helping you make the best decisions that are right for you and your children. It is true that most cases settle with little litigation. Mostly this is a result of having a firm grasp of the legalities of the situation and your own knowledge of your family and spouse. However, in the event you must go to court, you can rest assured that having an advocate will smooth the process. Counseling – It’s impossible to understand all of the legal aspects of your situation without having an attorney at your side. All families are different and your cousin’s divorce settlement that “got her everything” may not be applicable in your case. We want to ensure that you understand your rights and legal obligations about your case every step of the way. Transition – A divorce is probably the most important legal event that you’ll ever go through. It’s highly emotional and it can be sometimes impossible to compartmentalize all of the various issues related to your divorce. It is important to have an attorney who can help you work out how you are going to organize your life after a divorce and how you are going to live. I previously had a case where our client, the Wife and homemaker of 38 years, did not have the basic skills to go out into the world and start operating independently. 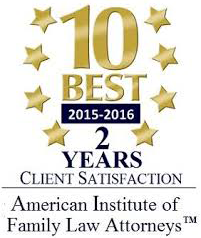 During the divorce process, we were able to get her associated with a financial planner to assist her with her divorce settlement. We introduced her to someone who could assist her in learning the computer, as she had never had the need for one. But most importantly, we helped her with getting the resources she needed to function better emotionally and mentally. By keeping her mind focused on the future, she did not have time to consider the negative aspects of the divorce. 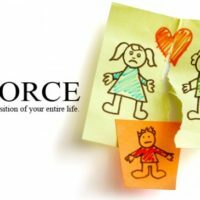 Since Florida is a no fault divorce state, the first words out of any family law attorney’s mouth to his or her potential client are, “Can this marriage be saved?” If the answer is “No” then it’s important that you hire an attorney focused in this field and one who sees you as a person.